This is Part 2 of a two-part series. Part 1 of this series, “Ireland’s Monetary Gold Reserves: High Level Secrecy vs. Freedom of Information – Part 1” published on 23 January, looked at initial attempts in 2011 and 2012 to extract basic information about Ireland’s monetary gold reserves from the Central Bank of Ireland and the Irish Department of Finance. These attempts proved unsuccessful due to non-cooperation from the central bank which at that time was not covered under the Irish Freedom of Information Act (FOI Act), and also a bizarre refusal of a FOI request from the Department of Finance and a subsequent claim by that Department that it had zero records of said gold reserves that it has entrusted to the Central Bank of Ireland (a central bank which it owns). On 14 October 2014, a new and expanded Freedom of Information Act was enacted into law in the Republic of Ireland. This news FOI Act (2014) extended the scope of coverage of Freedom of Information requests to “All Public Bodies” in the Irish State, and for the first time included Ireland’s central bank, the Central Bank of Ireland. Information and records relating to the expanded list of public bodies are not fully retrospective, and FOI requests under the new FOI Act (2014) only cover the right of access to records created by these additional public bodies on or after 21 April 2008. Given the introduction of the new FOI Act (2014) and the fact that it covered the Central Bank of Ireland, on 21 June 2015 I submitted a FOI Request to the Central Bank of Ireland with a series of questions about Ireland’s gold reserves. I was cognizant of the fact that the FOI Act only covered records after 20 April 2008 so I structured the questions to take account of this time limitation. The Central Bank of Ireland financial year follows the calendar year, with the annual financial accounts being made up to 31 December (i.e. calendar year-end). Therefore, the logical place to start was with the central bank’s 2009 Annual Report and 2010 Annual Report. Notice the difference in wording between the 2009 and 2010 annual reports. Exclusive of the gold coin holdings, the gold reserves in 2009 were stated as consisting of “deposits with foreign banks” while in 2010, the gold reserves were stated as consisting of “gold bars held at the Bank of England“, i.e. one is gold deposits with foreign banks (plural) and the other is allocated gold bars at a specific location (i.e. the Bank of England). “The gold is held in physical form and ….may be placed on deposit in the London gold market depending on market conditions”. The phrase “gold holdings consist of deposits with foreign banks” refers to gold placed on deposit in the London Gold Market, i.e. these gold deposits are central bank gold lending deposits placed with commercial bullion banks. 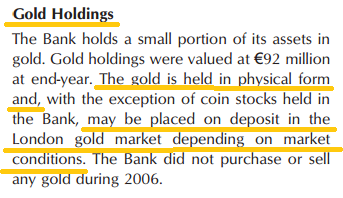 In fact, the phrase “gold holdings consist of deposits with foreign banks” is stated in all the Central Bank of Ireland annual reports from 2009 all the way back to the 2000 Annual Report. 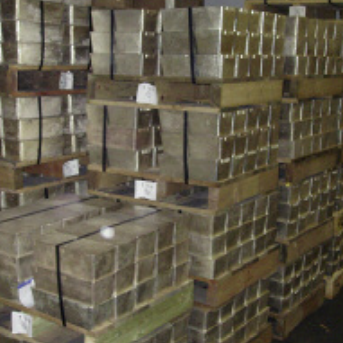 Given that the Central Bank of Ireland Annual Report 2010 stated that the gold holdings consisted of “gold bars held at the Bank of England“, my FOI request asked for details of these gold bars in the form of a gold bar weight list. Because, if one claims to have physical gold bars stored at the Bank of England, one certainly has access to produce a weight list with the details of said gold bars. Since the form of the Central Bank of Ireland’s gold holdings changed from “deposits with foreign banks” in 2009 to gold bars held at the Bank of England“ in 2010, my FOI Request also asked for records of any correspondence relating to this change. 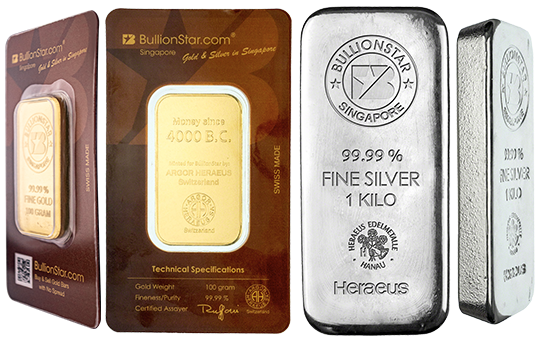 Gold deposits are on a fine ounce basis, gold bars held are on an allocated bar set-aside basis. They are two very different things. When you put gold on deposit with a bullion bank (i.e. lend it), you get back the same amount of gold that you placed on deposit (and maybe interest in the form of gold), but you don’t necessarily get back the same gold bars, since the bullion bank probably sold or lent on the gold that you deposited. This is a request being made under the Freedom of Information Act 2014. “1. Details of the gold holdings of the Central Bank of Ireland during 2009 which consisted of “deposits with foreign banks” as specified on page 77 of the 2009 Annual Report. – the names of the foreign banks that the Central Bank of Ireland gold was deposited with during 2009, the duration of these gold deposits during 2009, details of the interest earned on these gold deposits, and information on the dates on which these gold deposits ended (since the gold holdings were not on deposit in 2010). 2. Details of the gold holdings of the Central Bank of Ireland during 2010 which consisted of “gold bars held at the Bank of England” as specified on page 98 of the 2010 Annual Report. – A document, such as a weight list, bar list, or bullion weight list, that uniquely identifies the bars of gold held on behalf of the Central Bank of Ireland by the Bank of England. This list would include (for each bar), details such as bar brand, bar serial number (serial number from refiner, not Bank of England number), year of manufacture of bar, gross weight, fineness, fine ounces. – Information or correspondence that discusses the rationale for switching the Central Bank of Ireland’s gold holdings from “deposits with foreign banks” in 2009 (see above) into “gold bars held at the Bank of England” in 2010. On 6 July 2015, the Central Bank of Ireland FOI Unit responded to me by email with an acknowledgement of my FOI Request, which can be viewed here -> Acknowledgement Letter CB of Ireland FOI gold 20150706. This letter also includes my full FOI request as per the blue text above. Recall that my first question was asking the central bank to provide records “containing the names of the foreign banks that the Central Bank of Ireland gold was deposited with during 2009, the duration of these gold deposits during 2009, details of the interest earned on these gold deposits, and information on the dates on which these gold deposits ended” i.e. information about gold deposits a.ka. gold lending. This was a completely redundant and misleading statement because with gold lending, the lent gold does not necessarily leave the Bank of England. 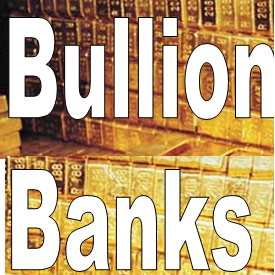 It stays in the Bank of England vault wherein title is transferred to bullion bank gold accounts during the deposit period and more than likely the deposits are then rolled over into other short-term gold deposits with additional bullion banks. It was also a deflection of my question since it ignored the fact that the 2009 Annual Report had stated that “gold holdings consist of deposits with foreign banks“, and failed to explain why the Annual report had referred to deposits with foreign banks (plural). The FOI Decision Maker went on to say that he had “identified one record falling within the scope of your request, namely a statement from the Bank of England dated 31 December 2009 confirming the number of gold bars held with the Bank of England on that date”, but that he had “made a decision to refuse this part of your request for the following reasons“. Releasing information about gold bars would disclose important information about those same gold bars? No kidding? He went on to state: “Furthermore the release of this information, which is of substantial value, would identify the stock of gold coins held at the Central Bank from the stock of gold bars held at the Bank of England and from which a market valuation for the separate holdings could easily be calculated.” And? Why would this be a big deal? It would not be a big deal. The gold coin holdings of the Central Bank of Ireland are quite immaterial and completely incidental to the questions raised in my FOI request. Now you can see what we are up against when small-minded central bank bureaucrats are unleashed and given a small amount of power in their FOI Unit fiefdoms to pronounce and decide on what they think is and is not in the public interest. Question: Who voted that these anonymous central bank staffers should have the power to say what is and what is not in the public interest? Answer: Nobody did. A gold bar weight list is an itemised list of all the gold bars held within a holding that uniquely identifies each bar. In the London Gold Market, the LBMA’s “Good Delivery Rules” specifies the data that this list should contain for the large 400 oz bars as held by central banks. 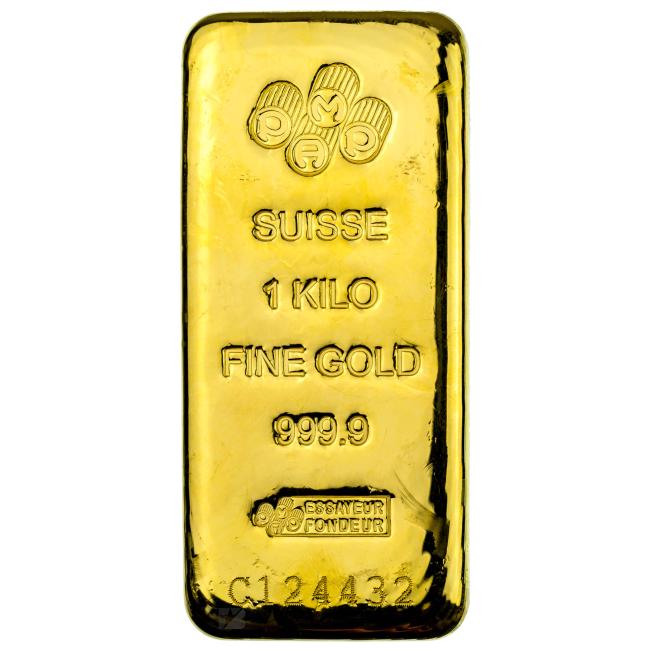 The data in a weight list includes such details as the bar serial number, the refiner name, the gross weight of the bar in troy ounces, the gold purity of the bar and the fine weight of the bar in troy ounces. 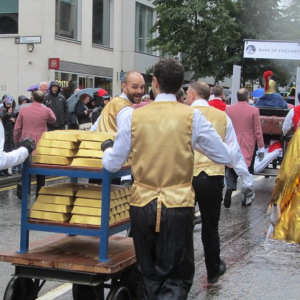 All gold being shipped in and out of gold vaults in the London Gold Market, including in and out of the Bank of England vaults, has to be accompanied by a proper industry standard weight list. Gold Backed Exchange Traded Funds (ETFs) produce these weight lists for their gold holdings at the end of each and every trading day so it’s not a big task to produce such a list via a position / accounting system. So, if you have gold bars held at the Bank of England, like the Central Bank of Ireland claims to have, then you certainly have access to a weight list provided by the Bank of England since the Bank of England has a gold bar accounting system which records all of this information. In fact, the Bank of England has provided such a gold bar list to the Reserve Bank of Australia (RBA) for the 80 tonnes of gold that the RBA stores at the Bank of England. This list came to light via an Australian FOI request, and the Aussie list can be seen here. 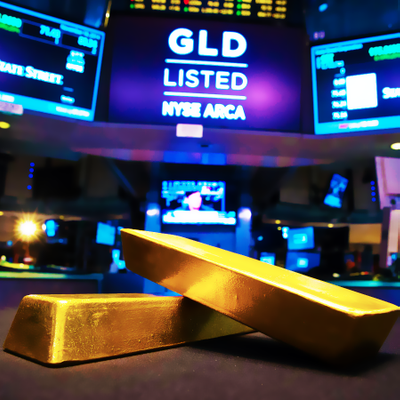 A full weight list would also be needed when undertaking a physical gold bar audit, which is something that the large gold-backed ETFs perform twice per year. Keep this in mind for anyone wanting to ask the Central Bank of Ireland how, if ever, they audit the Irish gold stored at the Bank of England. If the Central Bank of Ireland holds gold bars at the Bank of England, then it is a lie to state that a weight list does not exist, because a weight list has to exist even if it is in the gold bar accounting system of the Bank of England and has not been printed. If the Central Bank of Ireland is claiming that it doesn’t have such a list, then this shows a shocking lack of oversight with regards to the Irish gold holdings at the Bank of England. 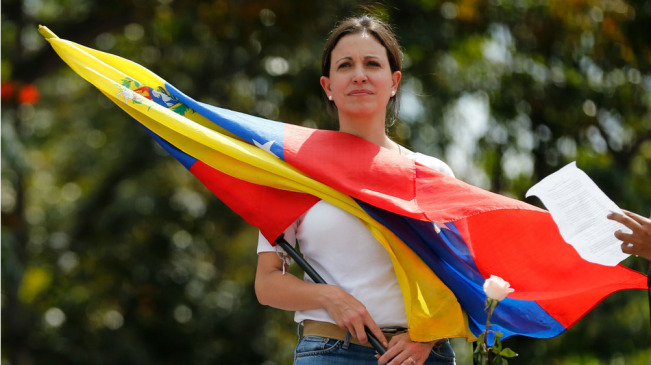 It could arguably also show a convenient laziness to acquiring such a list which the central bank could then use as a plausible deniability scenario. There was no explanation offered by this Decision Maker as to why the wording between the 2009 and 2010 annual reports had changed. The FOI Refusal letter wrapped up with a “Right of Review” paragraph which explained that it was possible to seek an internal review of the decision by a more senior staff member of the Central Bank by a written submission to the Central Bank of Ireland FOI Unit stating the reasons for seeking a review and accompanied by a €30 internal review fee. The refusal letter ended by saying “should you have any questions or concerns regarding the above, please contact me by telephone on +353 1 xxxxxxx“. So I decided to take up the offer of the FOI Decision Maker, and gave him a call the next day. The following is a summary of the phone call I had with the Central Bank of Ireland FOI Decision Maker after he had refused my FOI Request. Part of my FOI had asked the central bank to explain the change in wording between 2009 and 2010 where the annual report in 2009 had said the gold was on deposit with foreign banks, while the 2010 annual report said the gold was held in the form of gold bars at the Bank of England. On the phone call, the FOI Decision Maker said that these two descriptions were referring to the same gold and that the Central Bank of Ireland just changed the wording in the 2010 annual report to be more specific. I don’t believe this, but anyway, he said the justification that it was the same thing being described was because the 2010 report lists both the 2010 data and the 2009 data in two columns side by side with the same footnote (gold held in the Bank of England). He said the central bank senior accounting person had explained this to him and that she had said that ‘there was no change in investment policy‘. [This could mean anything, including that the gold might still be on loan]. 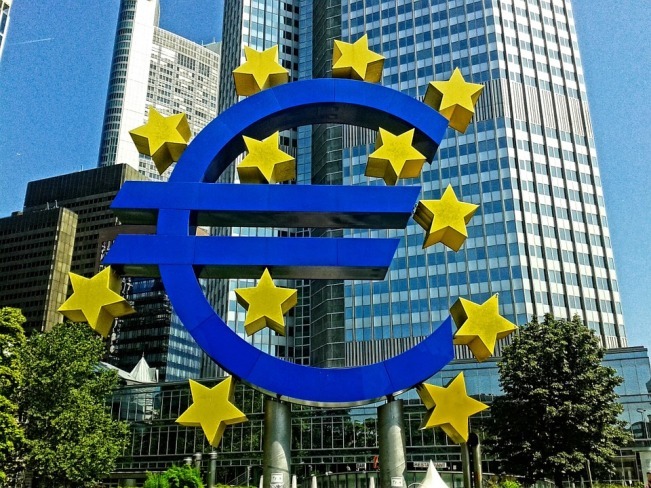 Given that one of my previous questions to the central bank prior to 2014 asking it to explain its investment policy on gold had been met with non-cooperation and “talk to the hand” (see Part 1), then its impossible to know what the Central Bank of Ireland’s investment policy on gold is or was in the first place. I then explained to the FOI Decision Maker about gold lending with commercial banks using Bank of England customer gold, and asked him to explain why the wording had said ‘gold deposits’ with ‘foreign banks’ (plural) all the way through from 2000 to 2009 and that its documented in the 2006 annual report that the bank engaged in gold lending in the London Gold Market. He could not explain this, but he seemed to be hesitant when I was talking about gold lending. He also said that since the Central Bank of Ireland is only subject to the Irish FOI Act for any data since mid 2008 (which is true), then he couldn’t comment on anything in the year 2008 or before that. A nice handy get out clause for him. Next up, he said that they found one ‘custodian statement’ dated 2009 from the Bank of England which specified number of gold bars and fine ounces held, and they were considering providing this statement to me. This is where the FOI gets bizarre. He said that they had 2 conference calls with the Bank of England trying to find out if there was a weight list and also about releasing this statement to me. The second conference call even included the “chief security officer” from the Bank of England FOI office, but that the Bank of England told the Central Bank of Ireland guy that ‘you absolutely cannot‘ send this statement out with bars total and fine ounces since its ‘highly classified‘ and ‘highly‘ something else (I didn’t catch the 2nd ‘highly’ as I was stunned while trying to jot down the notes during the call). Talk about national security. So here we have the Bank of England instructing another sovereign central bank (the Central Bank of Ireland) in what it’s allowed to and not allowed to release in its own FOIs. I think the Irish Office of the Information Commissioner and any decent Irish journalists might be interested in this, and how the Bank of England was meddling in an Irish FOI Request. The FOI Decision Maker had said in his letter that the data I was looking for concerned ‘important information about the Central Bank gold reserves‘. When I pointed out that of course it does, that was the whole point of my FOI request, he said ‘well, the FOI Act was not designed with the Central Bank in mind. we have a lot of confidential data etc‘. Again you can see this typical aloof central banker interpretation of the FOI legislation. I concluded by asking him if there was any point in sending in fresh FOI requests. He said if they are for records, yes, but he tried to steer me in the direction of asking questions to their press office. I would like to seek an internal review / appeal of the final decision of Freedom of Information request (ref: 2015-000132) made by Xxxxxxx Xxxxx, FOI Decision Maker, sent by email to me on 20th July 2015. This decision refused my request of 21st June 2015. I have documented below the reasons why I am seeking a review of the decision, and listed them by number. Part of my request was to obtain details of the gold bars held on behalf of the Central bank of Ireland at the Bank of England. Such a record does exist. I would like a review of the decision to withhold the Bank of England statement dated 31st December 2009 reviewed, with a view to releasing said statement to me. A follow-up call with the FOI Decision Maker on 21st July about the decision revealed that the Central Bank of Ireland had conducted 2 conference calls with the Bank of England about my request, with the second conference call even including a ‘chief security officer’ or similar from the Bank of England FOI office, and that the Bank of England told the Central Bank of Ireland that ‘you absolutely cannot’ send this statement out with bars total and fine ounces since its ‘highly classified’. I find it unacceptable that a request made under the Freedom of Information Act of Ireland can allow interference from a foreign central bank in determining its outcome. This is the Bank of England interfering in the Freedom of Information Act of another sovereign nation. Any input from the Bank of England in this matter should be inadmissible and I would like these interactions with the Bank of England to be reviewed as part of the appeal, and how a statement of gold bars can be said to be ‘highly classified’. 3. The asset valuation information of gold holdings is not confidential. In line with international accounting standards Central Bank of Ireland gold is valued at market value in the Balance sheet. The FOI Decision Maker’s explanation does not make any sense, and only serves to deflect my request. My request is not about gold coins. Introducing that argument is spurious and irrelevant. 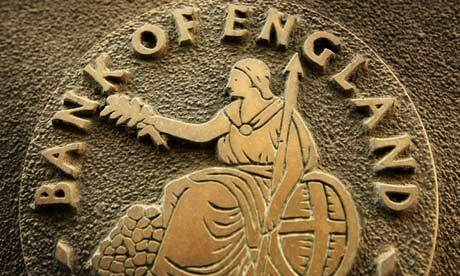 All foreign gold held in custody at the Bank of England is weight listed. I am submitting to you evidence of this fact in the form of a response to a Reserve Bank of Australia (RBI) freedom of information request in 2014 where the RBI responded to the request with a full Excel spreadsheet “Listing of the Reserve Bank of Australia’s gold inventory as held at the Bank of England”. See details below. Summary of Request: Listing of the Reserve Bank of Australia’s gold inventory as held at the Bank of England. 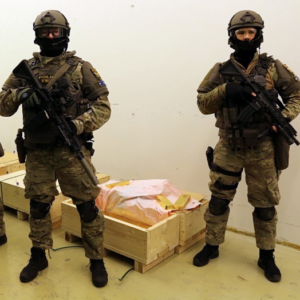 It is a minimal requirement in international auditing standards to have access to details of assets held in custody. In refusing my request, there was no explanation as to why the Bank of England has not provided such as weight list of gold bars to the Central Bank of Ireland. I would therefore like to appeal this finding also that the Central Bank of Ireland cannot request and provide a weight when other central banks, such as the RBI, can. The 2009 Central bank of Ireland annual report states that gold holdings consisted of “deposits with foreign banks” as specified on page 77 of the 2009 Annual Report. The 2010 Central Bank of Ireland annual report states that gold holdings during 2010 consisted of “gold bars held at the Bank of England” as specified on page 98 of the 2010 Annual Report. The 2009 reference refers to gold deposits as distinct to gold in custody. The 2009 reference also refers to foreign banks in the plural. The FOI response did not provide any explanation as to why the 2009 annual report used the wording of gold ‘deposits with foreign banks’ (in the plural). 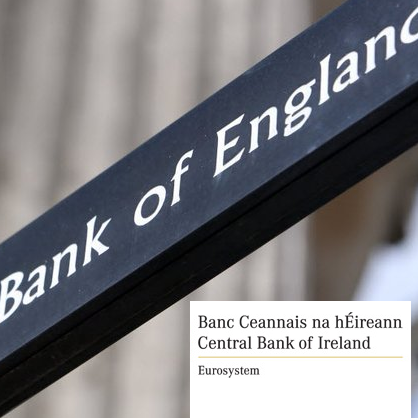 The response merely stated that “the Central Bank of Ireland’s gold bars were held with the Bank of England during the course of 2009.” Gold on loan does not move, it stays in the Bank of England, and so this statement that “the Central Bank of Ireland’s gold bars were held with the Bank of England during the course of 2009” does not address the issue of the “deposits with foreign banks”. The FOI refusal of ‘Category 2(b)” of my request uses the above justification (i.e. “the Central Bank of Ireland’s gold bars were held with the Bank of England during the course of 2009”). Since there was no adequate explanation of the references to “deposits with foreign banks”, then this is not adequate grounds for refusal and I would like this reviewed. This is a subjective assessment. If there was sufficient information in the public domain regarding the gold holdings of the Central Bank of Ireland I would not have felt the need to submit a Freedom of Information request. 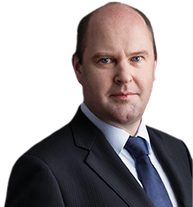 The public interest calls for transparency and accountability by the Central Bank of Ireland. The Central Bank of Ireland reports to the Minister of Finance who, as part of the Irish Government, works on behalf of the citizens of Ireland. In my view, refusing my request undermines the public interest and erodes transparency and accountability, and is not in the spirit and keeping of the Freedom of Information Act. On 4 September 2015, I received a response and decision from the Central Bank of Ireland in relation to the request for an internal review. This response letter is uploaded here -> 20150904_Letter_to_requester_internal_review_decision_redacted. detailing the weight list, bar list, or bullion weight list, that uniquely identifies the bars of gold held on behalf of the Central Bank of Ireland by the Bank of England for the period 2009/10. I am advised that the Bank of England is unable to provide holdings bar lists which are past dated. a) There was no explanation offered by this second FOI Decision Maker to explain why the first FOI Decision Maker had made a misleading and erroneous statement that the release of record would have a “serious adverse effect on the financial interest of the State. Putting it into context, this statement by the first FOI Decision Maker was just bluff or in common parlance it was ‘horse manure’. b) There was no comment or acknowledgement by the second FOI Decision Maker about a foreign central bank, i.e. the Bank of England, meddling in and sabotaging an initial FOI Request, or the presence of a Bank of England FOI security officer on a conference call saying “absolutely this guy cannot have this gold bar statement” since its “highly classified”. c) This second FOI Decision Maker inadvertently stated that the gold coin holdings held by the Central Bank of Ireland are stored in its ‘Currency centre’ premises, which is located in Sandyford, County Dublin, in a low rise secure building in campus type grounds. No part of my FOI Request or Review asked about these gold coin holdings. 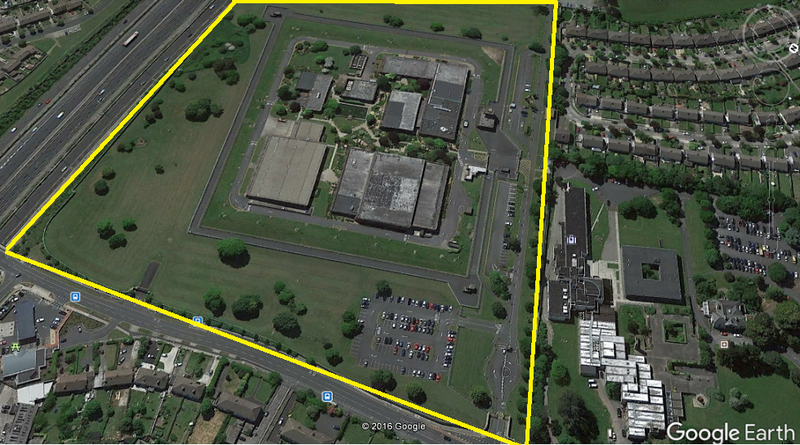 But since the second FOI Decision Maker volunteered this information, we now know where the domestically stored gold coin holdings are located. 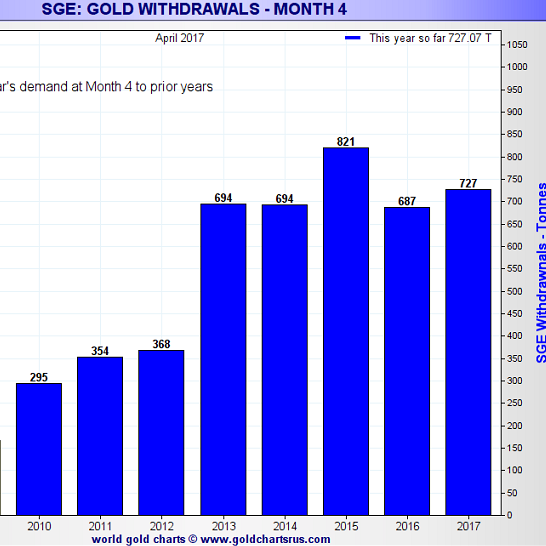 If the Irish gold couldn’t be uniquely identified over these years (2009 and 2010), then it would suggest that is was not held in custody on a set-aside / earmarked / allocated basis as specific gold bars, and therefore the claim of the Central Bank of Ireland in its 2010 annual report that it held “gold bars at the Bank of England” is misleading. e) “I am advised that the Bank of England is unable to provide holdings bar lists which are past dated.” This sounds unbelievable. The Bank of England has a sophisticated gold bar accounting system, and has had one since at least the late 1970s. 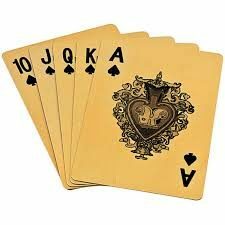 The Bank of England currently also uses a Book Entry Transfer system (BETs) to transfer gold bars between accounts, a system which would itself need archiving capabilities. All financial market position and transaction systems have archive capabilities. 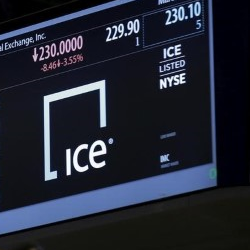 Historic records in financial markets have to be held for multiple years on electronic storage backup and in offsite backup should clients/customers request such details. To use an excuse that the Bank of England cannot generate a gold bar list for any past date is insulting and infantile. It also shows that the Central Bank of Ireland has no independent oversight or control over the reporting of its gold holdings at the Bank of England. f) “A redrafting of note 10 to the Statement of Accounts took place in 2010 to provide a more accurate reflection of the external gold holdings of the Central Bank of Ireland”. Taken on face value, this would imply that the 2009 Annual Report of the Central Bank of Ireland was misleading and not accurate. However, at no point in any annual report was there any note or explanation to acknowledge that any redrafting had taken place to provide a more accurate explanation. There was also no explanation offered by the second FOI Decision Maker as to what “deposits with foreign banks” (in the plural) referred to in the 2009 annual report, as per point 5 in my FOI Review Request. The 2 statements that the second FOI Decision Maker decided to allow to be released were 2 Swift statements of gold balances for year-end 2009 and 2010, sent from the Bank of England to the Central Bank of Ireland. The release schedule for the statements can be viewed here -> 2015-000132 Schedule. The actual statements, which the Central Bank of Ireland redacted in parts to remove swift codes, can be seen here -> 2015-000132 Records swift. Each of the statements is 6 pages long but contains mostly irrelevant swift formatting etc. The only relevant part of each statement is at the bottom of page 1 of each respective statement, where a varying gold balance is stated, against a total number of bars. That a weight list cannot be produced shows that this gold is not held on an earmarked set-aside basis but merely on a fine ounce basis (like a cash account) and that the number of bars mentioned on the statement is just an input that was added at some historical point in time when the account became a gold balance account. This is the data which the first FOI Decision Maker said that “access to the record could reasonably be expected to have a serious, adverse effect on the ability of the Government to manage the national economy or on the financial interests of the State…” He has got to be joking, right? The examples set out in Parts 1 and 2 of this series will hopefully demonstrate to readers the disdain with which the Central Bank of Ireland and the Irish Department of Finance treat Freedom of Information Requests. I have detailed numerous examples where simple questions about the Irish gold reserves have been ignored, blocked, and refused, even when under the remit of the FOI legislation. But this is a complete lie. As demonstrated by the arrogance and lack of cooperation of the Central Bank of Ireland on the topic of the Irish gold reserves, nothing could be further from the truth. Furthermore, there do not seem to be any political representatives willing to push the central bank on FOI issues, not any investigative journalists with the will to cover the topic of the Irish gold reserves at the Bank of England. 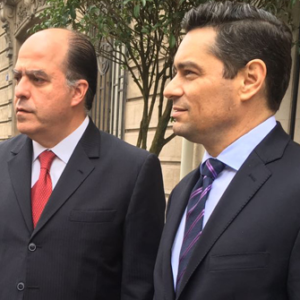 Have these gold reserves ever even been physically audited? Given the lack of oversight with which the Central Bank of Ireland treats this gold holding, it would appear not. The crux of the issue in my view is the gold lending market, which the world’s central banks do not want the public to know any information about, hence the secrecy about gold bar weight lists.